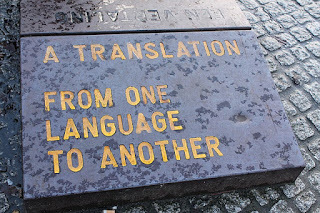 Berapa ramai dari kita yang pernah menggunakan Google Translate? Saya akui saya gunakan Google Translate apabila saya buntu untuk mencari English words yang sesuai. Kadangkala saya guna thesaurus jika saya telah mempunyai English words tetapi mahukan words tersebut lebih Ummphh. Sebenarnya, jika kita gunakan Google Translate sekalipun, ayat yang ditranslate akan kedengaran lucu lebih-lebih lagi jika kita translate ayat yang panjang berjela. Contohnya seperti dibawah ini, merupakan hasil ayat yang saya translate dari ayat diatas. Actually, if we use Google Translate though, the text would sound funny ditranslate the more so if we translate long paragraph berjela. Kedengaran dan kelihatan lucu, tapi makna yang ingin disampaikan masih boleh difahami. Saya guna Google Translate pun untuk memberi dan mendapatkan idea yang lebih cepat ketika menulis. Kadangkala idea datang dalam bahasa ibunda, kadangkala in English. Jika datang dalam bahasa ibunda tetapi perlu menulis dalam English, that's where Google Translate can help by giving fast ideas. Satu laporan berita online dari CBC News British Columbia bertarikh 12 April 2016 mengisahkan bagaimana Google Translate membantu komunikasi antara dua orang yang berlainan bangsa, budaya dan bahasa. Laporan ada dibawah, and in English. Kalau tak faham, sila Google Translate, hehehe. A Kelowna, B.C. farmer is marvelling about a "crazy experience" he had last week, using a translation app to connect with a recent Syrian immigrant over their shared love of tomatoes. Curtis Stone, known professionally as "The Urban Farmer," is used to people stopping to and asking about his front yard, which he farms for his business, Green City Acres. But he wasn't expecting such an emotional encounter when he saw a man walking by, speaking in Arabic on a cellphone, who stopped to look. "So I just engaged him and said, 'hey, how you doing, brother?'" said Stone in an interview with CBC News. Stone said the man indicated he didn't speak English, so Stone tried hand gestures to explain he was growing salad greens. "He pulled out his phone, and he started to show me pictures on the phone of all these tomatoes, of a tomato farm," said Stone. 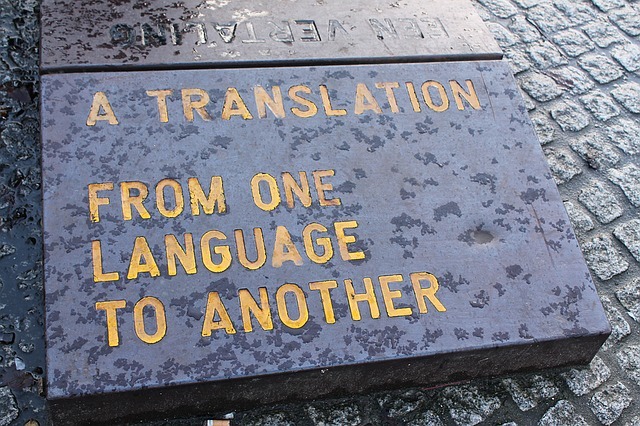 Then the man opened Google Translate, an app that provides two-way speech translation. "I am a tomato farmer from Syria," the man said, through his phone. "I was stoked and I said, 'oh, you like tomatoes?'" said Stone, who invited his new neighbour into his greenhouse. "He lost it," said Stone. "He was completely overwhelmed with emotion. He couldn't believe it." Stone said the man grabbed the tomato plants and smelled them. He started picking their suckers, counting the branches, just as Stone does. "It was clear that he really knew what he was doing. In a broken conversation, between the app and snippets of English, the man explained that he'd arrived in Canada recently with his wife and daughter. Stone wrote about the encounter on Facebook, in a post that has been shared more than 1,300 times. "I just had a crazy experience," he wrote. "Never in my life would I have imagined that we'd see technology be able to bring people together so well, so cool." "This is straight out of Star Trek," he said. He hopes to connect with his new neighbour again, at the farm. "It's amazing how urban gardening and urban agriculture really connects people, because food crosses all cultural and language barriers." Seperti dikatakan Curtis Stone, straight out of Star Trek.